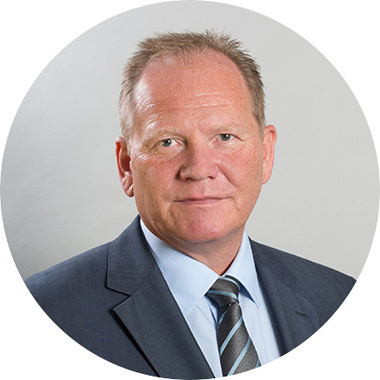 Risks under control – opportunities in sight: The QCAM Currency Overlay offers customised solutions for individual needs and investment goals. QCAM offers both passive and active currency overlay. The passive overlay focuses on risk management, including reduction of transaction costs and the customer specific management of resulting cash flows (Cash Flow Management). 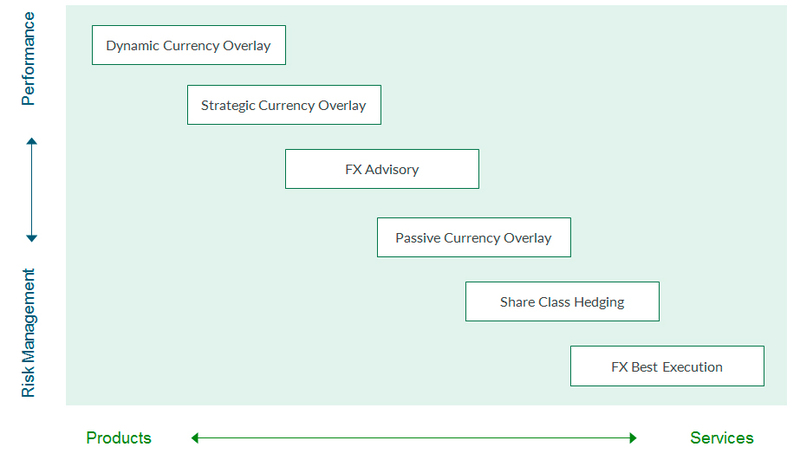 In addition to these objectives the active overlay aims to enhance the return of your underlying portfolio. By combining a passive overlay with an active management of hedged positions we seek to take advantage of currency swings. With this process oriented approach the QCAM Currency Management strives for fully exploit potential upside without overlooking potential risks at every step in the process. Following a detailed risk analysis the selected strategy will be implemented while constantly monitoring the compliance with specific risk parameters. The reporting provides you with performance reports tailored to your specific needs. The QCAM internal risk management processes are FINMA regulated. 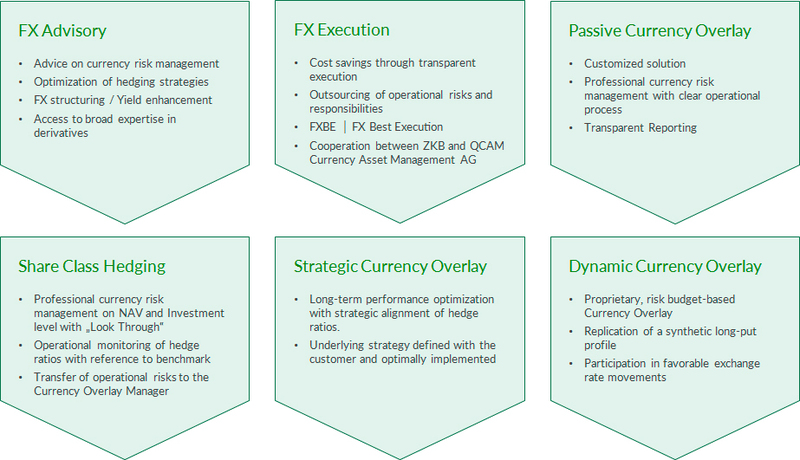 Active management of currency risks. Our clients have differing needs in terms of professional risk management. We implement solutions that are precisely geared to those needs.